When all your household water has to be fetched from the river 2km away and carried home on foot, then every drop is precious! That’s why the people of Lupembe Lwasenga village are so keen to have a clean water supply piped to the village and are happily digging the trench for the water pipeline. 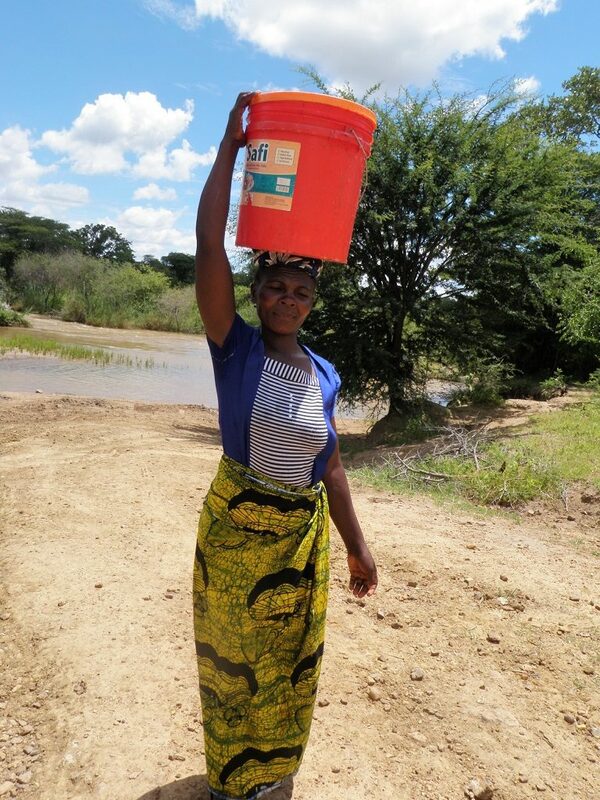 The Tanzanian government doesn’t have enough funds to provide water supplies to every rural village, so the village leaders turned to the Anglican Church and Emmanuel International for help. 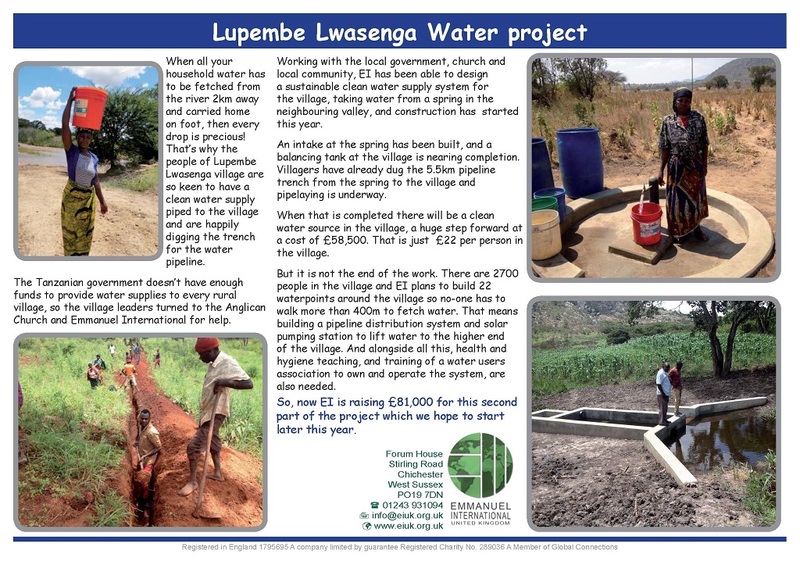 Working with the local government, church and local community, EI has been able to design a sustainable clean water supply system for the village, taking water from a spring in the neighbouring valley, and construction has started this year. 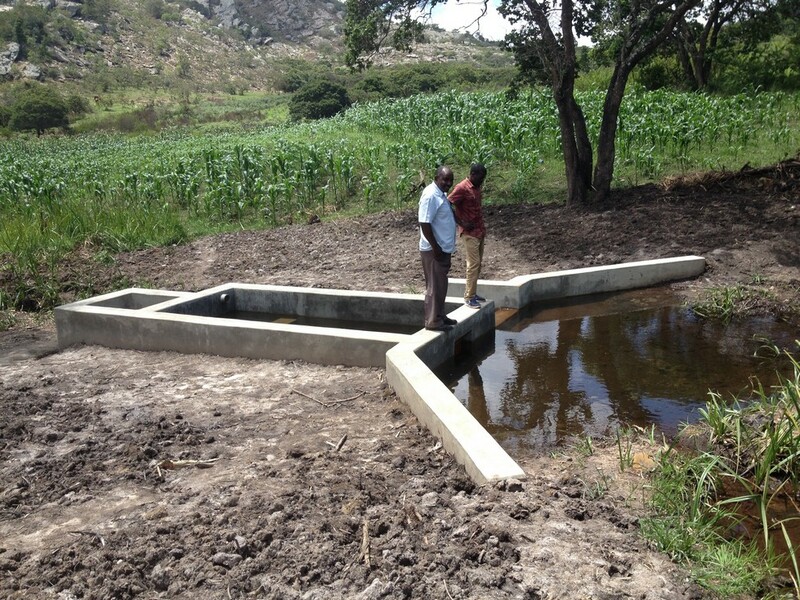 An intake at the spring has been built, and a balancing tank at the village is nearing completion. 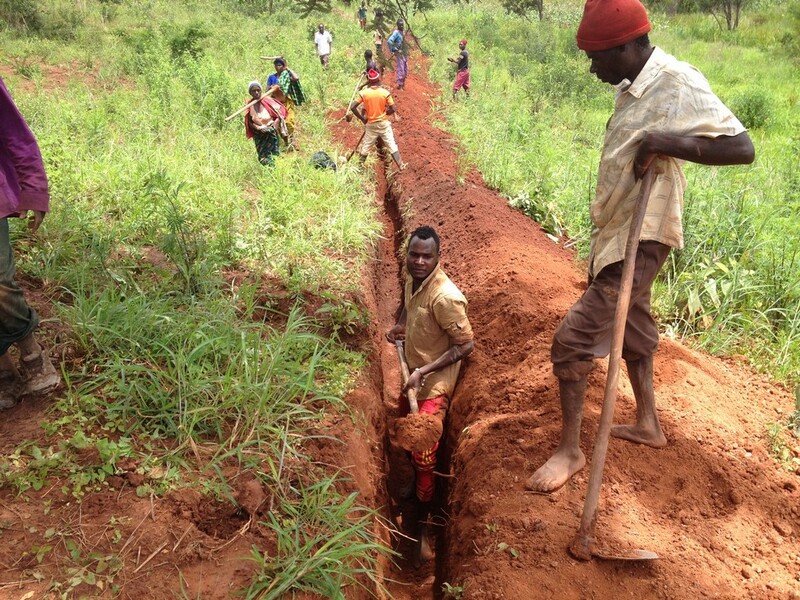 Villagers have already dug the 5.5km pipeline trench from the spring to the village and pipelaying is underway. 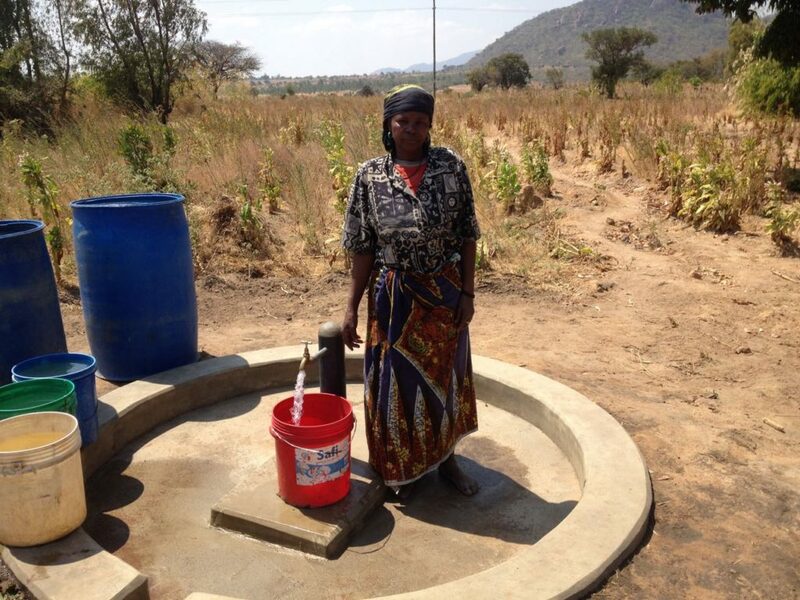 When that is completed there will be a clean water source in the village, a huge step forward at a cost of £58,500. That is just £22 per person in the village. But it is not the end of the work. There are 2700 people in the village and EI plans to build 22 waterpoints around the village so no-one has to walk more than 400m to fetch water. That means building a pipeline distribution system and solar pumping station to lift water to the higher end of the village. And alongside all this, health and hygiene teaching, and training of a water users association to own and operate the system, are also needed. So, now EI is raising £81,000 for this second part of the project which we hope to start later this year.